I was browsing the internet and found the CNNGo’s article Top tourist destinations for 2012, and Bangkok is ranked third in their list of cool places around the world! I am happy to know that people like my city, so I thought I wanted to share something. I think one of the biggest questions that comes up almost every day is ‘where to eat? and what to eat?’, am I right? lol So, I’ll start with my Top 10 place to eat in Sukhumvit. 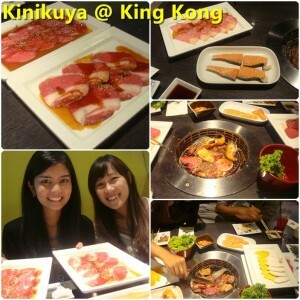 Sukhumvit area is the best place for eating. Apart from must-try Thai food, you can find other famous type of cuisine found in the world in this area. From street vendors to international restaurants and fast-food outlets, from the very cheap to the prohibitively expensive. 1. Som Tam Nua This place features Isan food, from Thailand’s northeast. From Spicy Som tam to grill tender beef with Nam Jim Jaew (Thai Northeast style dipping sauce). The must eat menu here is a basket of fried chicken. The famous Basket Fried Chicken. If you go there on weekends you might have to wait to get in for quite a while. 2. King Kong Yakiniku Buffet If you fancy grilled seafood and beef buffet, here is your place. This place is different from most buffet resturants, you can just order from the menu and the staff will serve everything to your table, isn’t that great? My best friend and I loved it. Location: get off Chitlom station and walk about 100 meters to LangSuan road. Location: Athenee Residence, Soi Ruamrudee, Wireless Road. 4. Beirut Restaurant is a Lebanese eatery with a wide variety of Middle Eastern, halal cuisine which is simply superb. The Lamb Kebab is to die for.Tender succulent pieces of meat, yummy!!! Here is by far my favorite place for Middle Eastern dishes. Location: Basement floor of Ploenchit Center. They has another branch on Silom road as well. 5. Pizzeria Limoncello The place is always packed, but their pizza never disappointing! with cozy atmosphere and the service was fast and friendly I used to go there every week. I can’t leave here without finish my meal with Tiramisu. 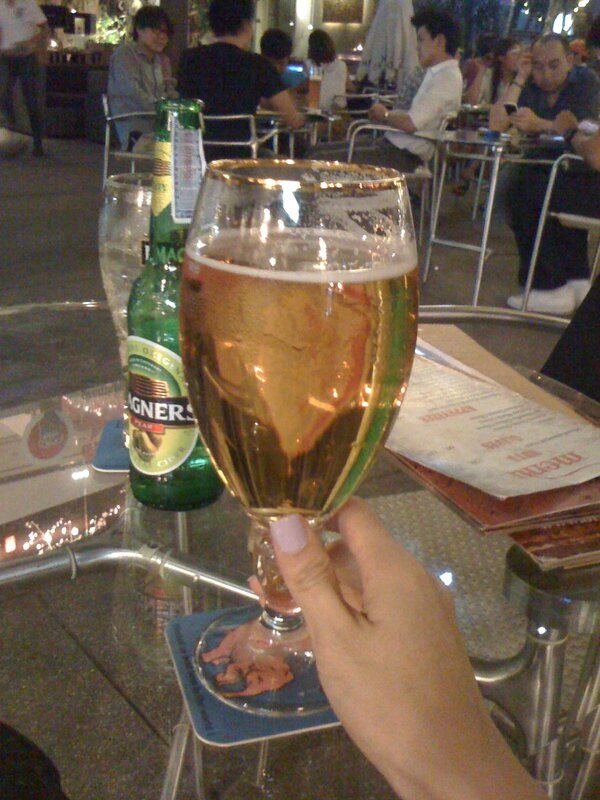 Location: Sukhumvit Soi 11, about 400 meters from Sukhumvit road and turn left at the corner of the German Beer House restaurant. 7. 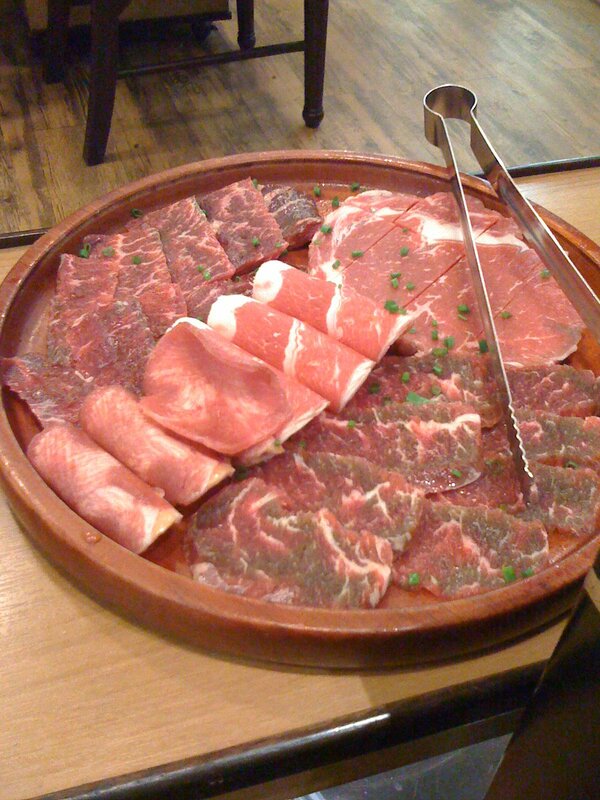 Arirang As a beef lover, Korean Beef Barbecue and Kimchi is my version of paradise . I like the idea of being able to cook your own food right in front of you, even though most times I’m not the one in charge of cooking the meats. I also love all the variety of free unlimited side dish that come along with the BBQ. This place is my favorite Korean food in Bangkok. Location : Sukhumvit Plaza, Sukhumvit Soi 12. I can finish the whole thing by myself! 8. Baan Isan Mueang Yot is definitely one of the gems of the northern Thai cuisine in Bangkok. Modest place by any measure, however it is an indoor dining restaurant with air-conditioning. 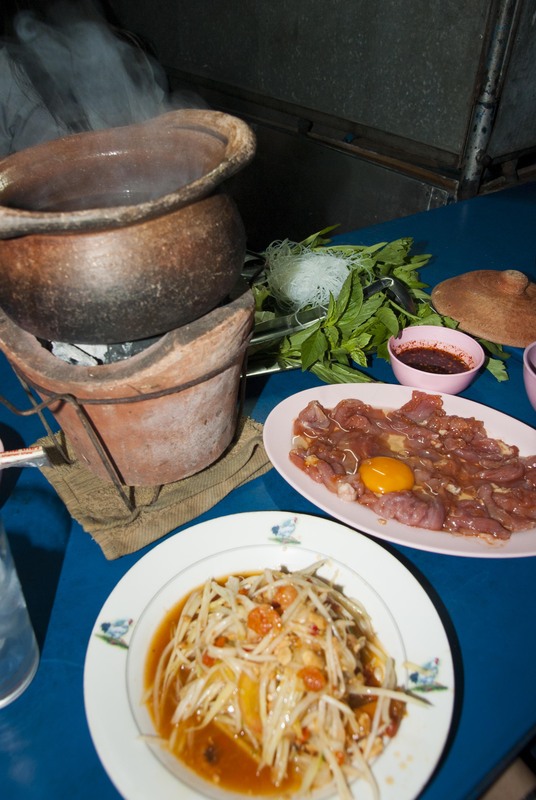 They have a full list of traditional Thai dishes with focus on Isan cooking and a great variety of grilled food. Don’t forget to try the gilled salted fish with the tasty Somtam on the side. Location: Soi Sukhumvit 31, approximately 600m into to the Soi on the left hand side. 9. 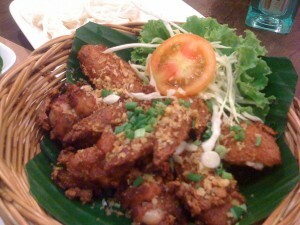 Soul Food Mahanakorn serves authentic regional Thai food which is not easy to be found these days. I like the concept of this restaurant neatly summed up on its website: “Wholesome ingredients. Honest cooking. 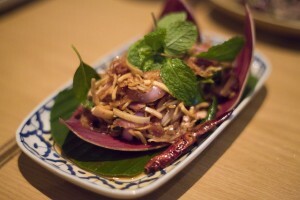 Serious drinks.” The must-try dish is Yam Hua Plee (banana flower salad). I had it for the first time here and I fell in love with this dish. My favourite drink is the drink I ordered because I liked it’s name “Jai Yen Yen”(which in Thai translates to “cool down/chill out”), which is a sweet and delectable blend of Gin, ginger ale, lime, passionfruit, pineapple, and cucumber. Yum! 10. Seen Space in Thonglor has a great ambience with most of the restaurants having wide terraces open for a quick snack or drink. The center square seating area provides menus from all the surrounding restaurants, offering food from Asian and Western cuisine. Great place to hang out with friends and watch people go by over drinks or dinner, or preferably both. Great selection of beers available from BREW Beers & Ciders and the best fish and chips in town from Fat’r Gut’z. I like to take it easy here after work. 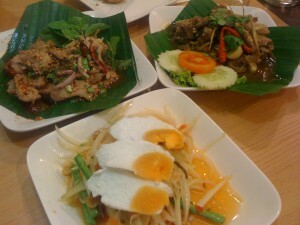 Click here to see my “Top 5 favorite Thai restaurants in Bangkok”. Sukhumvit is a must place for every tourist who wants to see the real beauty of Bangkok. Nightlife & street food of this area, always memorable. 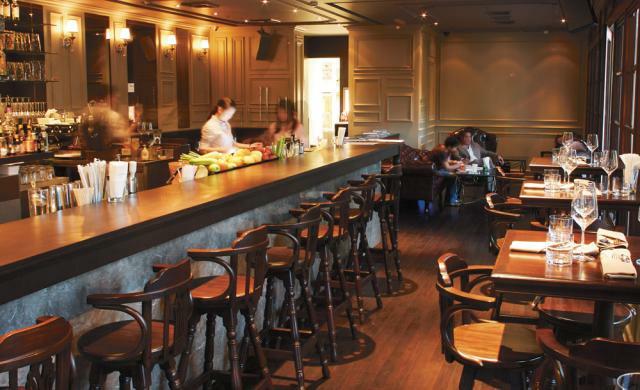 Bangkok’s best restaurants are also placed here. 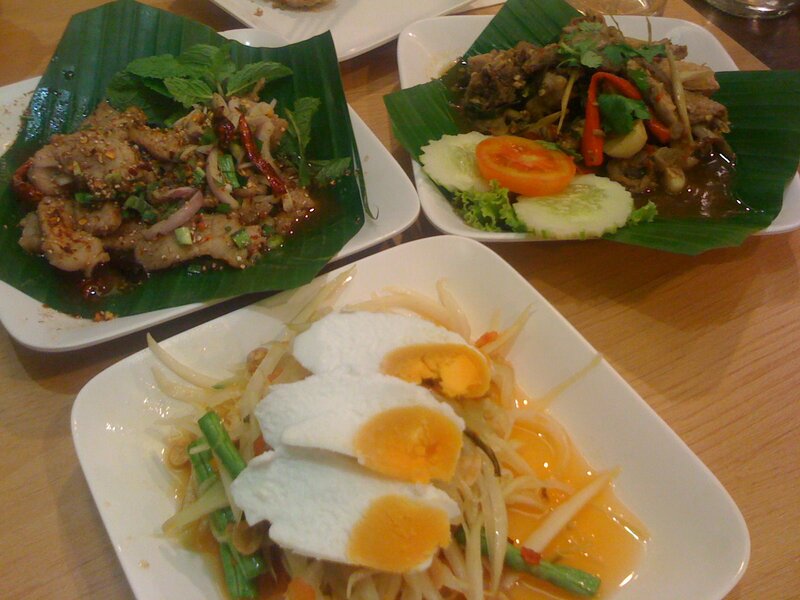 These places listed here are are the best affordable places to eat in Bangkok. Thanks for sharing the post on top 10 places. Nice list Mod thank you for sharing. I have only been to a couple of places on your list and look forward to trying more of them. I thought I would share a map with all of the locations for everyone to help them find the places more easily. The only place I couldn’t find exactly was the jim jum place since I am not certain where on Soi 20 it is located. I made a guess that it might be in the vicinity of Queen Park Plaza since I have had some good jim jum there a few times before, ordered from a nearby place, so I thought it might be from the same place near there. Greetings, Thank you for your nice comments, hope to see you often in our branchs. Hi, it seems there have been a misunderstanding, the place you are describing is Café de Beyrouth, our branch in Ploenchit center is still open in the floor B1. Thank you for this article. I will have to try a few restaurants on your list. I would love to read on your favorite places to eat at Chatuchuck Weekend Market. Thanks! I just come for the very first time in Bangkok. I am staying at nice serviced apartment in Sukhumvit area and I really really love the city. There are so many different and super delicious food out there. The lebanese restaurant that you’ve posted here – Beirut is my favorite. I’ve never tried something more tasty. There is another lebanese restaurant – Nadimos which is also great and its worth to visit. 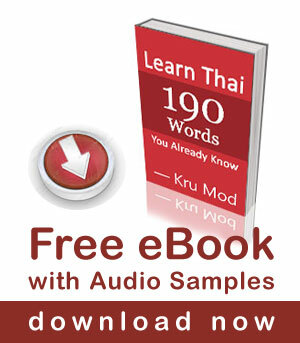 Sawatdee ka Kery, thank you for reading my post. I am happy to hear that you found it useful. I have been to Nadimos a few times, actually I filmed my lesson there once with my friends. Hope oyu continue to follow my videos and website in the future as well. Its refreshing to get an english update from a local thai. Seen your videos! Keep them up! Will be bringing my gf to some of these recommended joints! Thanks for this list!!! Definitely come in handy as I will be gg to bangkok this week!!! What are the prices like for King Kong and arirang btw? And is there a buffet restaurant u can recommend that serves western cuisine and mainly side dishes? Like garlic bread etc. thanks!! !